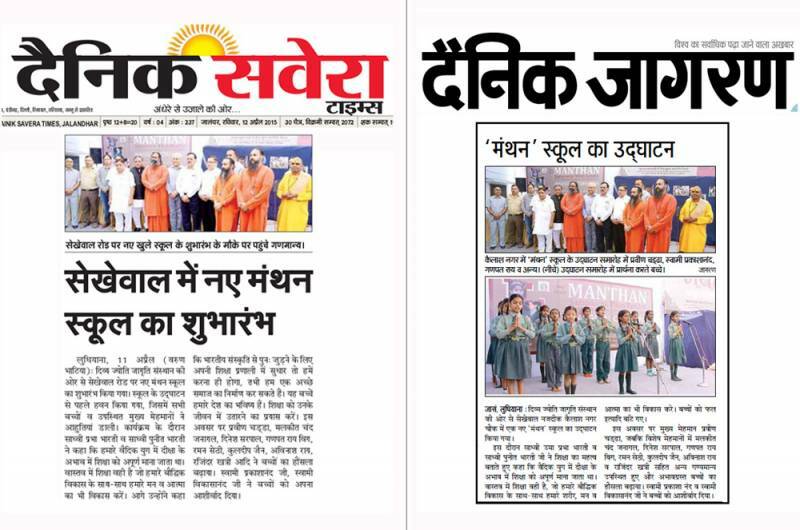 Manthan's sky-rocketing ambition and the spirit of nurturing under-privileged children added another feather to its cap with the inauguration ceremony of a new Sampoorna Vikas Kendra (SVK) at village Sekhewal, basti Jodhewal, Ludhiana, Punjab on April 11, 2015. Sadhvi Puneeta Bharti, Preacher, Divya Jyoti Jagrati Sansthan (DJJS) was present on the occasion. The ceremony was graced by the chief guest Mr. Parveen chaddha, an Industrialist, along with other guests Mr. Malkeet, Mr. Ganpat Rai Vig, Mr. Dinesh Sarpal, Mr. Kuldeep Jain, Mr. Raman Sethi and Mr. Avinash Rai. The program began with the introduction of Manthan project and a welcome note by Mr. Mandeep Sahota. 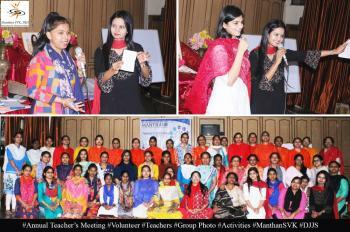 Spreading divine vibes, Saraswati Vandana was presented by Manthanites and was followed by prayer and devotional bhajans. Thereafter, all the guests came forward for lamp lighting. Addressing the audience, Sadhvi Puneeta Bharti discussed the philosophy of Manthan and drew a fine comparison between modern education system and vedic education system. 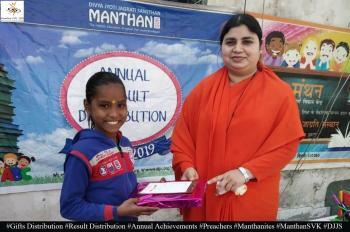 Manthanites spoke their heart out and their feelings testified the fact that Manthan is not just another education centre, but a temple of morals and ethics where they get developed holistically. A sponsor Mr. Ganpat Vig talked about the growth of Manthanites and offered full support to this initiative. Thereafter, guests proceeded for ribbon cutting and took a tour of classrooms. This initiative was appreciated by one and all and with this, Manthan is on its way to extending its horizons.